Discussion in 'Education' started by lou_meluso, Aug 15, 2016. I suppose with the many changes in the photography world, the multiple changes of ownership and the high costs of tuition, this shouldn't have been much of a surprise. Yet, as a former alumni, I feel a twinge of sadness. I also feel sad for the students who got cut off from finishing after a fair investment in time and money. I went to Brooks in the early 80's when it was still owned by the Brooks family and Ernie Brooks was at the helm. What a terrific experience that was back then with all the wonderful and inspiring teachers and creative students combined with a beautiful facility in the hills of Montecito. I got my first full-time photo job right out of school and I've had a long, career in photography since. I am grateful for the opportunity to have attended, but times have changed, photo markets have changed, photo education has changed and with new technologies and shifting cultural trends, photography itself has changed. 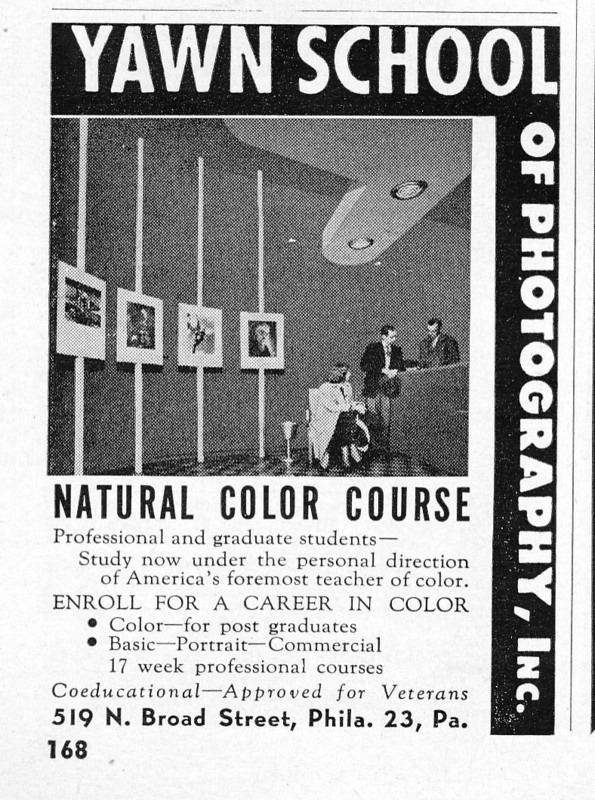 So after 70 years of photography education, Brooks Institute is closing its doors. Thanks and farewell. michael_levy|3 and sjmurray like this. Well it was the top of the heap or at least top 10 photo school. I lived nearby and was actively involved and helping several students to realize their dreams while they went there. Anyway, I'll fondly remember the school. Sad, but times do change. I wonder if there's anything they could have done differently over the last 10 years to stem the tide. Perhaps they never saw it coming - 2005 was just after the coming of the affordable DSLR and photography was at full swing. It was also before YouTube, Facebook, and the full demise of print; maybe the signs were there in hindsight, but difficult to see in better times. I have mixed feeling about this. I've lived in the Santa Barbara area since the mid 1980s, and have enjoyed running into many of the bright, enthusiastic students attending Brooks, setting up their tripods around town or in the surrounding hills, or shopping for photographic supplies at Calumet or Samy's. Indeed, Brooks was one of the reasons why our area, with a small population, could support multiple professional camera stores. But later on I also ran into Brooks students when they were selling off their photo equipment at bargain prices on their way out of town. When a garage sale offered pro-level Nikon lenses along with furniture, it was invariably a Brooks student moving away and giving up on photography. Too many of them were doing this for me to continue feeling good about the school. In 2005, when Brooks belonged to the Career Education Corporation, it was cited by the government of California for, among other things, misleading students as to what they might expect to earn after graduation. Required to make changes, it seems that Brooks made some progress, but the decay of its reputation as well as a diminishing market for the education they offered continued. It's sad, because, from different people, I learned about dedicated and talented instructors, who will no longer be teaching in our area. When I lived in CA met a number of Brooks graduates. They had a sound foundation in photography. But Dean Collins who did several videos there, photo superstar. But later on I also ran into Brooks students when they were selling off their photo equipment at bargain prices on their way out of town. Notepad++ Malwarebytes FileZilla When a garage sale offered pro-level Nikon lenses along with furniture, it was invariably a Brooks student moving away and giving up on photography. Too many of them were doing this for me to continue feeling good about the school. In 2005, when Brooks belonged to the Career Education Corporation, it was cited by the government of California for, among other things, misleading students as to what they might expect to earn after graduation. Required to make changes, it seems that Brooks made some progress, but the decay of its reputation as well as a diminishing market for the education they offered continued. It's sad, because, from different people, I learned about dedicated and talented instructors, who will no longer be teaching in our area. My daughter attended the Art Institute of Seattle and was generally pleased, but she went on to finish a baccalaureate degree at Simon Fraser in Vancouver. Even the good programs are closing down. Frankly, lots of 4-year and even graduate state universities aren't doing all that well. "I wonder if there's anything they could have done differently over the last 10 years to stem the tide. Perhaps they never saw it coming... maybe the signs were there..."
Oh they saw if coming yet you never see or saw any of their graduates trying to help the masses into the professional market understand licensing, understand charging a fair fee (even if the un-educated saw it as unreasonably high), etc. How many times on this forums and many others are the discussions about pricing and licensing bordering on the absolutely ridiculously low? How come you never see any truly established "famous" photographers giving their piece of wisdom on the internet forums. Nor do you see their professors starting Youtube channels on photographic licensing. Is it there responsibility, no. But at the same time, if we want to repeat history when "we" needed to start unions, looking at the coal mining of the 1800s or the violent art guilds of the middle ages then yes the professors and those wealthy enough to of gone to those expensive schools should not help their own industry. What YOU see and what I saw are quite different. A Brooks Grad and later Friend, now deceased, helped me and my photography in more ways than I can count. Lending expensive gear, coaching, lending me a car for an extended period when mine was broken down, helping me get a photo job, etc., etc.. We each see and experience subjectively - as you can see, my experiences and yours are at opposite poles. Having a relative bright view of humanity, I'd wager my type of Brooks Alum experiences would not be uncommon. no When I said "you never see" I meant the online forums where most people are and have been getting their knowledge for the past twenty years. my comment was not about single contact points it was about information being learned by a larger group than a single friend or even a class of students, It was about information being shared and therefore learned at numbers that sustains the industry's harmony.